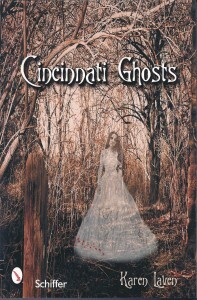 Stories from Ohio and Kentucky with some straying over into Indiana. Ohio sites include Buffalo Ridge in Hamilton County, Dead Man’s Curve in Clermont County, Habits Cafe in Oakley, Hammel House Inn and other Waynesville haunts like the Stetson House and Angel of the Garden Tea Room, Utopia, site of a utopian community washed away by the Ohio River, Promont in Milford, Spring Grove Cemetery, Sorg Opera House in Middletown, where the former owner has the best seat in the house, Westwood Town Hall in Cincinnati, Tea Roses Tea Room in Mason–site of a horrific murder, 20th Century Theatre in Cincinnati, Smyrna Cemetery in Felicity, haunted by a Native American woman, , Paramount’s Kings Island and Kings Mills, Lucy’s Run Creek near Amelia, EVP in a Middletown house, Kentucky sites include Hayswood Hospital and the Washington Opera House in Maysville, Phillips’ Folly, a Kentucky stop on the Underground Railroad, Southgate House in Newport, Big Bone Lick Park in Union, Bobby Mackey’s Music World in Wilder. 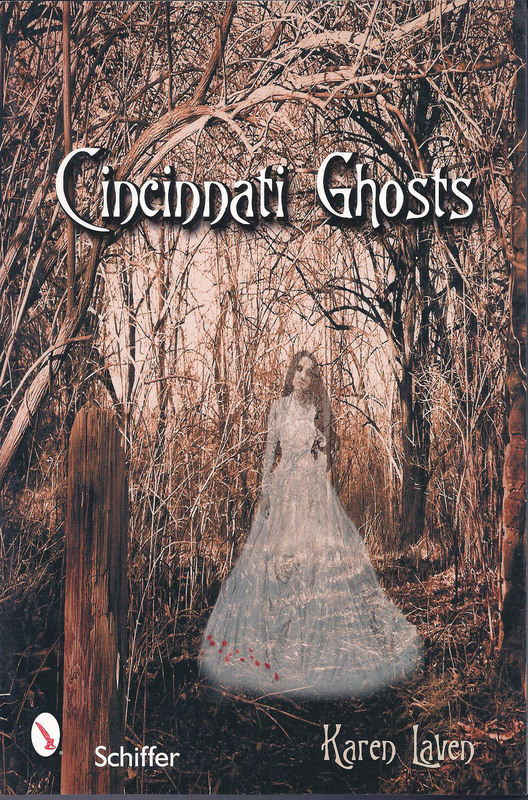 I was a little surprised there were so few stories from Cincinnati itself–the hauntings at a number of local museums, concert halls, hotels and restaurants are well-known.